Experience the treasures of the mysterious Mekong River while on a Lotus Cruises journey. From the warm smiles you encounter while visiting the floating markets to the waving children running to the shore to greet the ship, this clearly is an incredible destination that is a privilege to experience. 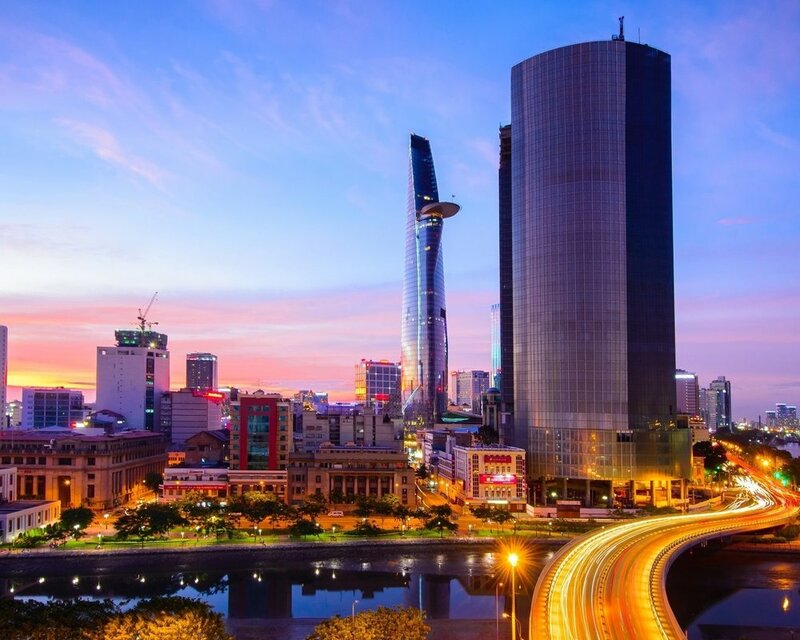 The natural beauty of Vietnam and Cambodia will ensure guests savour every moment of this magnificent river cruise experience. 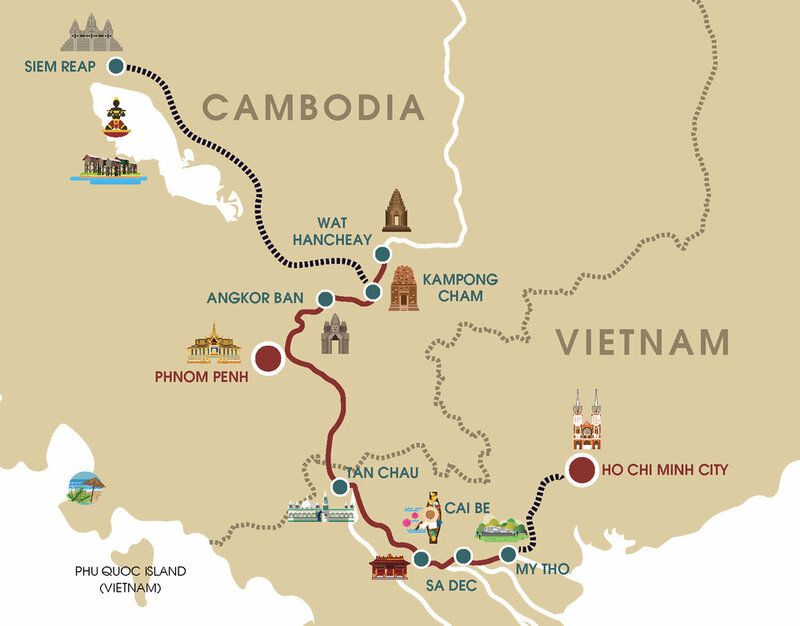 Our full 8-day cruise enables us to share with you the rich culture that is present along the waters that flow between Vietnam and Cambodia. 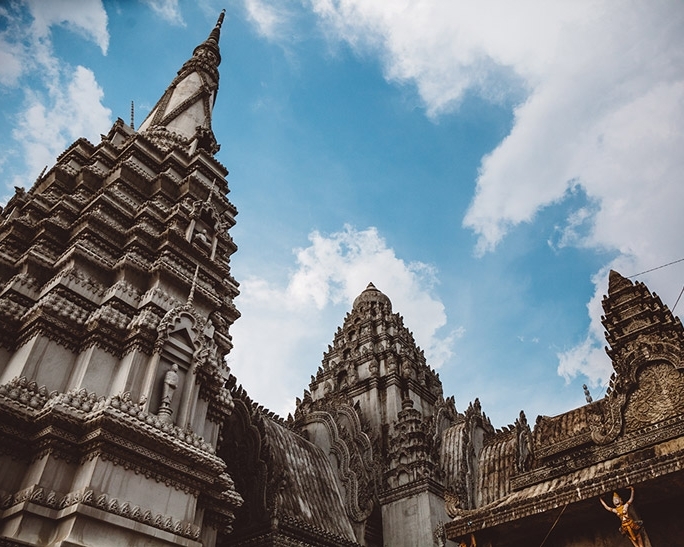 This fascinating destination will enrich your knowledge of the region’s history while inspiring you with the entrepreneurial spirit of the Mekong villagers, the perseverance of the Cambodian farmers and the uplifting serenity of the Buddhist monks. Explore the past as you navigate through magnificent remnants of former civilisations. Complete your experience with an entertaining evening of music and cultural performances. *Cruise operates in reverse direction on alternating departures. Itinerary subject to change and may vary depending on water level. A 4-day itinerary is also available. Embark on a picturesque ride from Siem Reap to Kampong Cham where we will board our elegant ship - your home for the next seven nights. Enjoy the welcome champagne reception and Khmer themed dinner as we set sail on the beautiful Mekong. In the morning, enjoy a drive through the city of Kampong Cham to visit the hills of Phnom Pros (man hill), Phnom Srey (woman hill), the incredible Stupa, a 10-meter long reclining Buddha and the 13-meter tall preaching Buddha. Visit the 12th century Angkorian-period complex, known as Wat Nok Bachey, to see several original statues of Buddha as well as some ancient stone inscriptions. After the leisurely walk around the monastery, we will return to the ship for a sumptuous lunch. Next on the itinerary is a visit to a local secondary school. Following a tour of the school and opportunity to chat with the principal and students, guests walk up the hill to Wat Hanchey to receive a traditional Buddhist Water Blessing from the monastery’s resident monks. 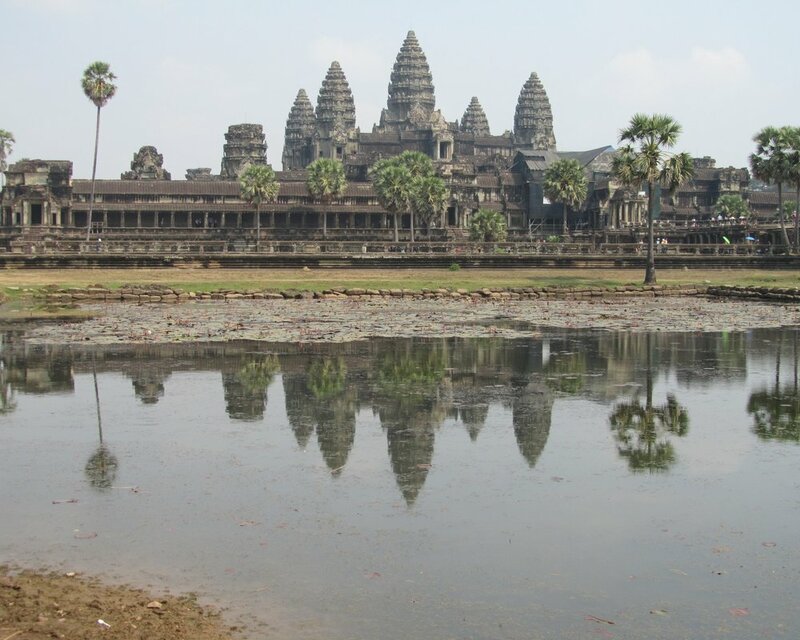 We will visit the charming town of Angkor Ban and have a glimpse into the lives of the local people. Our tour will start with a visit to the home of a local family, who will share their way of life with us. From there, we will continue our stroll through the village to a traditional school where the town’s children will be hard at work in their English classroom. The children will be delighted to meet new people as you experience their typical school day. A short walk back through the village will take us to the local monastery complex for a brief visit before returning to the ship. This morning, we will learn more about the darkest days of Khmer history, an important key to understanding the Cambodian culture. After a scenic 45-minute drive, we will arrive at the Choeung Ek killing fields. 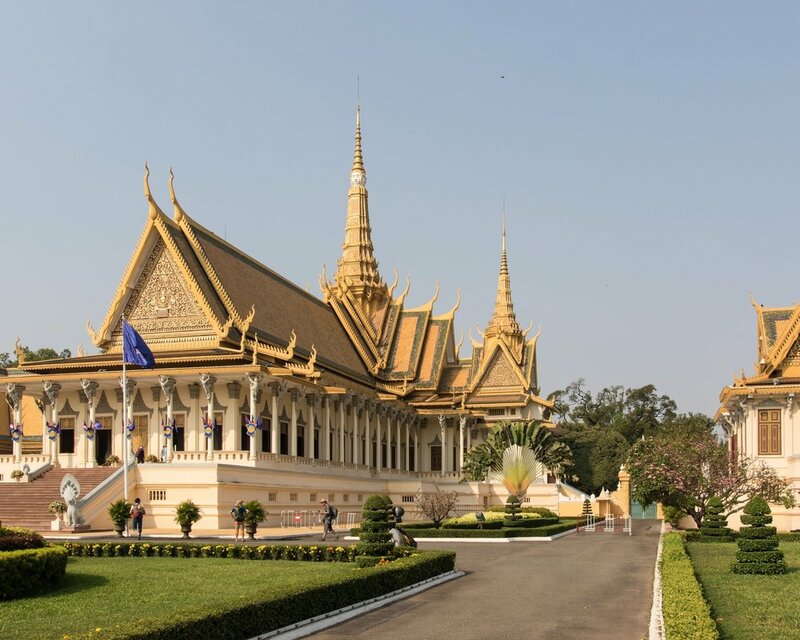 Here we will walk through the complex, visit the small museum and Memorial Stupa and learn more about the atrocities committed during the Khmer Rouge regime. Before returning to the ship, guests will also tour Tuol Sleng (also known as S-21), the former school, which was converted to the main prison and torture headquarters of the Khmer Rouge. After breakfast on board, we will meet the cyclo drivers for an exciting morning city tour of Phnom Penh. Along the riverfront is the Royal Palace complex where we will enjoy a leisurely walk through the grounds to see the Throne Hall and Moonlight Pavilion. Next we will visit the famous Silver Pagoda, home of Cambodia’s Emerald Buddha and Maitreya Buddha, encrusted with more than 9,000 diamonds. We will return to the cyclos for a short ride to conclude the morning at the National Museum, where we will have a comprehensive tour of the many Angkorian-period artifacts excavated at the Angkor Temple complex. The afternoon will be free for you to enjoy a variety of optional excursions, shopping or simply explore authentic Khmer cuisine in the local restaurants and pubs nearby. Before dinner, join us on the Sun Deck to watch Cambodian cultural performances including Apsara, Cambodia’s national dance as well as a traditional blessing dance. We will leave Cambodia and cross into Vietnam, where we will witness the way that the agricultural aspects of riverfront living merges with a modern lifestyle. Visit the local island village of Hong Ngu, not far from the Vietnam-Cambodia border. Hong Ngu produces a large number of the traditional Khmer scarves exported to Cambodia. Guests will also visit the local temple dedicated to a unique religion founded in this area of Vietnam, called Hoa Hao. We will return to the ship for a delicious lunch and some leisure time. In the evening, join the culinary team as they demonstrate the art of Vietnamese and Cambodian cooking. Following breakfast, we will continue our journey to Sa Dec, where a short visit will be made to the home of Mr. Huynh Thuy Le who inspired Marguerite Duras’ novel “L’Amant” (The Lover) as well as a fascinating walk through the town’s market to marvel at the sights and scents of the colorful fresh produce, meat, live fish and seafood being sold. 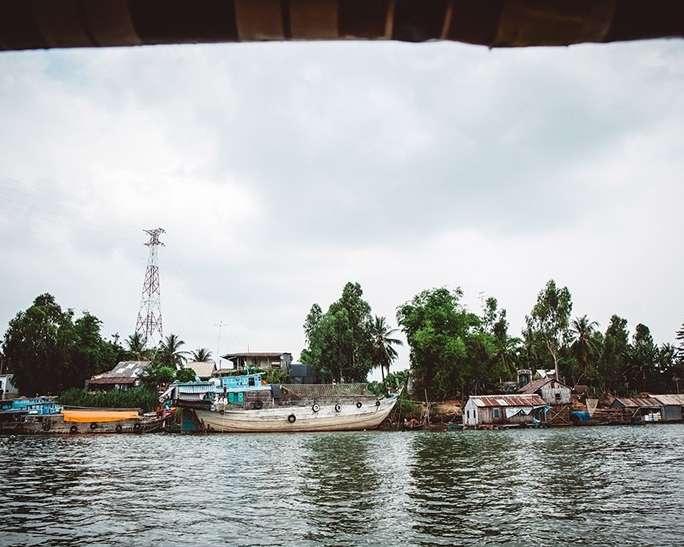 Onboard the sampans, we will navigate the narrow canals of the Mekong and observe the daily routine of the villagers en route to the historic town. We’ll stop at a local brick factory to view the entire process of brick making, using clay taken from the bank of the Mekong River. Our English-speaking tour guide will bring you onboard the sampans to sail past the city’s French gothic cathedral followed by a tour of the historic Ba Duc House with its beautiful surrounding gardens. 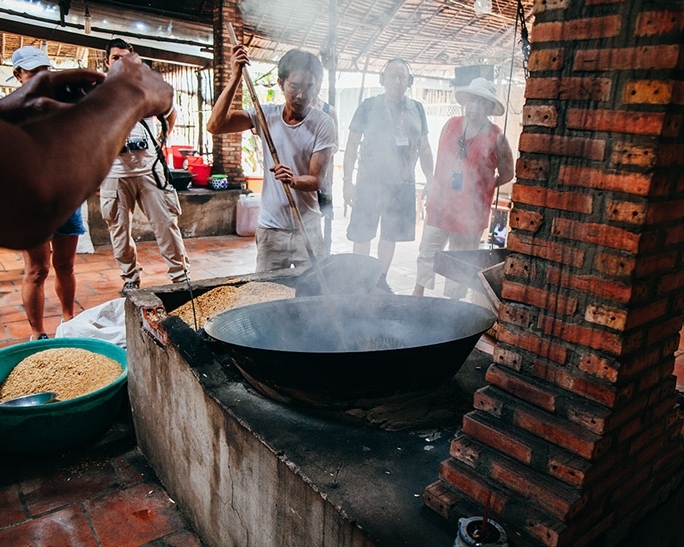 The last tour of the afternoon is to a traditional rice factory where workers produce rice paper, rice wine, popped rice and many varieties of traditional candies. Following breakfast, we will arrive at the port of My Tho to disembark and proceed to Ho Chi Minh City.